Description: These tracts are great for home sites, farming and gardening, or just a place to get away from the hustle and bustle of city life. Some of these tracts have natural water. These tracts are just a short drive from Augusta near the small town of Gibson. The soil characteristics are favorable for forests, farming, or gardening. These tracts all have ample frontage on county maintained roads. You will have to construct your own well and septic system if you decide to construct a residence. Directions: From Augusta: Take US Highway 1 to Wrens. At the redlight in downtown Wrens take a right onto Highway 102 towards Gibson, Georgia. Just before reaching Gibson turn right onto the Gibson-Hart Road ( Bastonville Road ). Follow Gibson-Hart Road for a distance of two miles to the property on the left. Restrictions: 1. All residences may be either home or mobile home. Any mobile home placed thereon shall be double wides and shall be not more than 10 years old since date of manufacture. Any residence constructed or placed thereon shall have a minimum of 980 square feet or heated fl oor space of living area. 2. Property shall not be used for commercial uses as defi ned by Burke County zoning ordinances. Property shall be used for no more than one permanent residence. 3. The property shall not be used for the storage of inoperable vehicles, industrial equipment or supplies. 4. No swine may be kept or raised thereon. Other agriculture is permitted. 5. Setback lines for the construction of any buildings shall be 75 feet from the right of way of any roadway; and 15 feet from all side and rear lines. 6. Drainage and utility easements are reserved for 25� from any existing public roadway and 15� from any side and rear lines. 7. Property shall be used for one residence per tract. Upon permission of Glascock County authorities, tracts over 4 acres may have one additional residence per 4 acres in the tract. Mobile Homes Allowed. 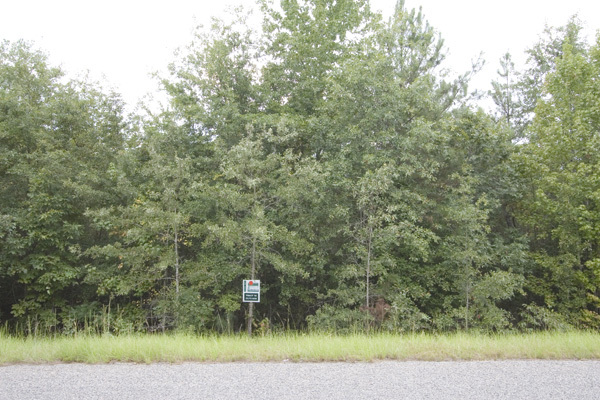 Property has wooded land. Property fronts on a county road.